A visit from my Danish friend Pia Storm had been long in the works. 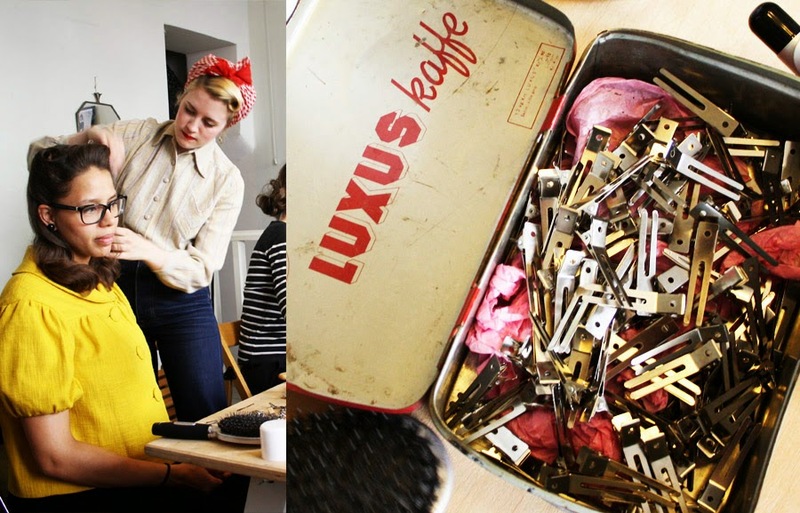 I met Pia at last year’s Malmö Vintage Expo in May and I visited her in Copenhagen a few times last summer. I invited her to take a trip up north to Malmö to come see me, but between both of our schedules it just didn’t happen until this past Saturday. 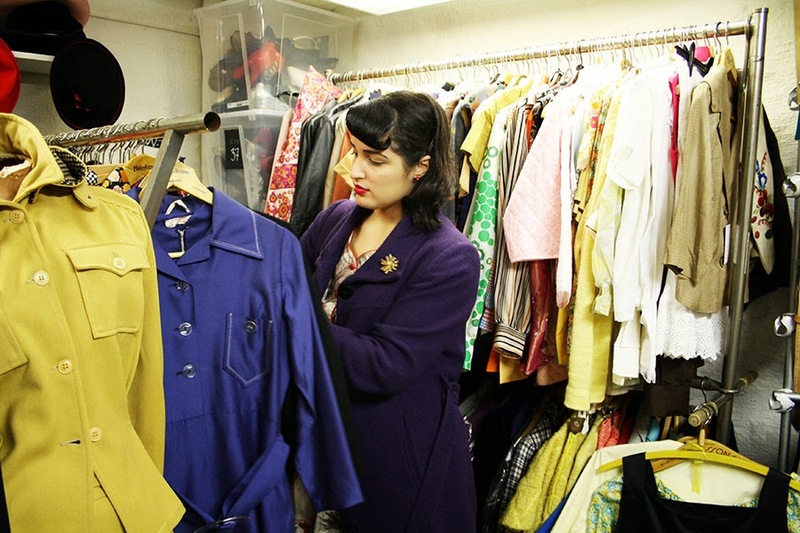 The plan was to check out the vintage stores in Malmö, including the new Beyond Retro store, which is a vintage/secondhand retail chain in Sweden and England. Then Pia and I walked over to Vintage From Paris, which used to be my neighborhood vintage shop when I lived in the Saint Knut area of Malmö. Every now and then I find things that are just wonderful - and at a great price! I have particular luck there with accessories. 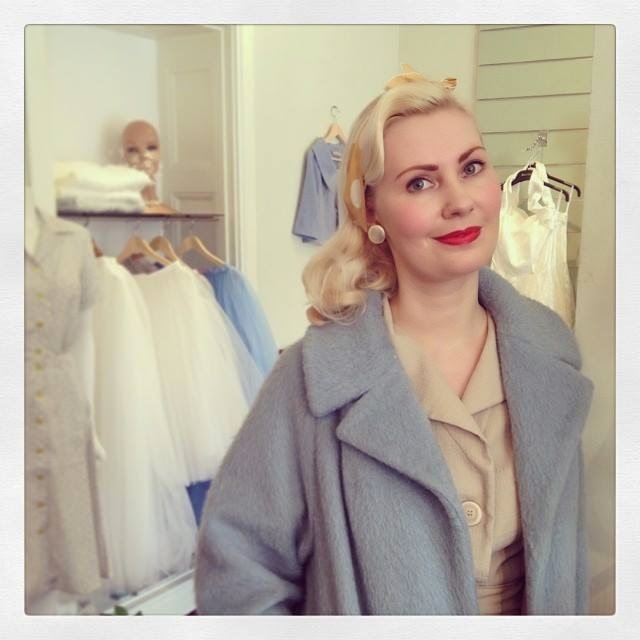 We ran into Amanda, another vintage gal pal I met at the winter Vintage Expo in Limhamn. 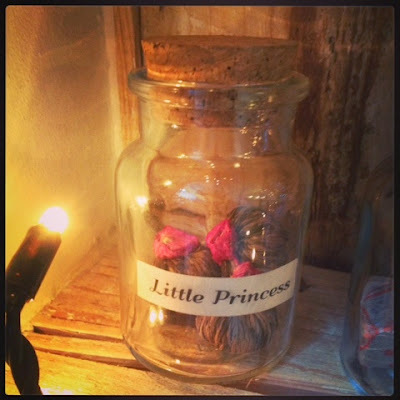 She works at VFP and was gracious enough to show us some of the lovely things they had in stock. Happily enough, it ended up being a hat day for me. I only owned one hat prior to last weekend, but VFP had two very beautiful hats that I just had to take home with me! One was a purple pillbox hat that matches perfectly with my purple winter coat. 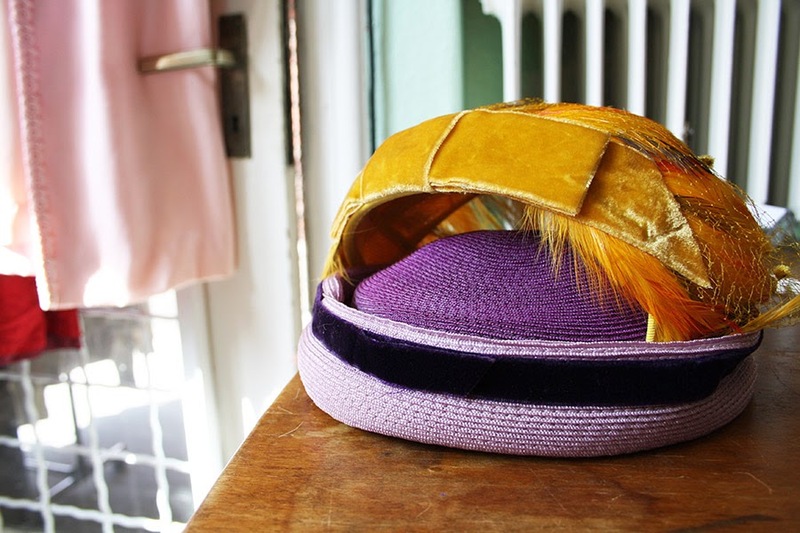 The other was an amazing yellow, red, and brown feather confection that is topped off with yellow netting and a yellow velvet bow at the back. The yellow and red feathers reminded me of home and I loved it. Its not so easy to see the feathers on the yellow hat in this shot, but I promise it's amazing. I'll be sure to take better photos of it soon! If you wondered what I meant by “it reminded me of home,” this is a traditional Hawaiian feather cape, or ʻahu ʻula. Red and yellow are royal colors and are typically used for ʻahu ʻula. 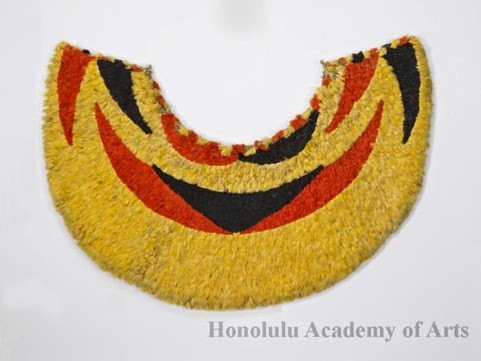 Feather capes were highly prized by chiefs and the Hawaiian featherwork tradition is a beautiful example of our cultural heritage. I mean, just look at this cape! 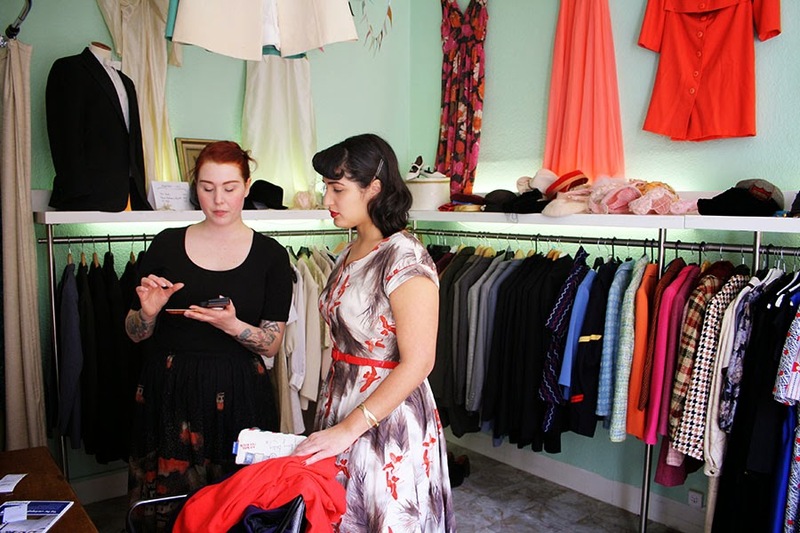 We stopped by Shop Mani and checked out their two floors of vintage clothes! 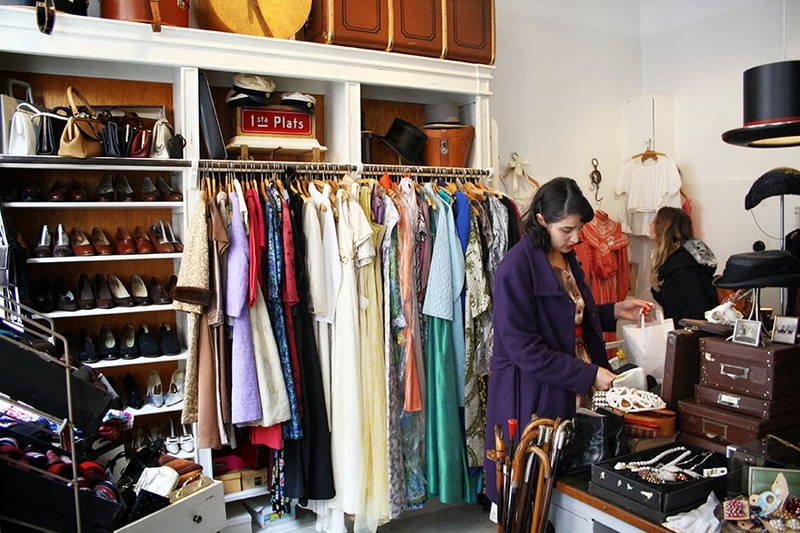 They have both women's and men's vintage clothes, for any Malmö guys who might be interested. This is just one floor, people. We peeked into Flique i Underjorden at Davidshalltorg, where Miriam Parkman happened to be holding a vintage hair course at their store that weekend. There's Miriam working her hair magic on Lovisa, a designer of organic cakes, who I "met" via Instagram. Pia and Miriam know each other from blogging and Instagram and recognised each other almost as soon as we walked in. We ended up having lunch with Miriam that afternoon. It was really nice to meet her! Sushi with Miriam! And Miss Pia behind the camera. Who even knows what I'm trying to say in this photo? Since Miriam was visiting from Stockholm for the weekend, she and I met up on Sunday for a fika, which is the Swedish word for a coffee break. 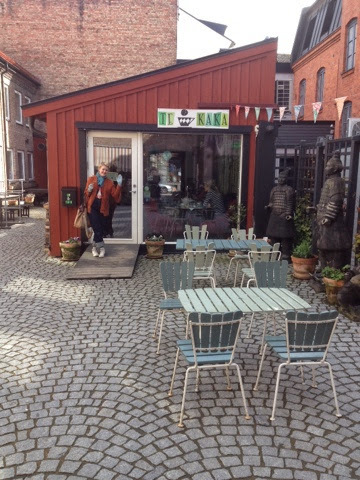 We went to Te och Kaka (tea and cake). 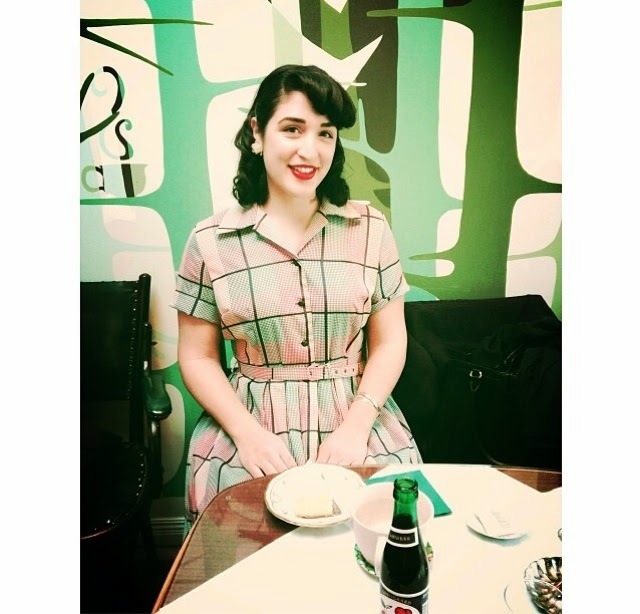 Miriam's ready for a fika! It was a cute little building in the middle of a courtyard. They have a big selection of teas and homemade cakes and cookies. A flowering tea on their wall of teas. This place is too cute! The wall behind me is hand painted. It truly was a great weekend. 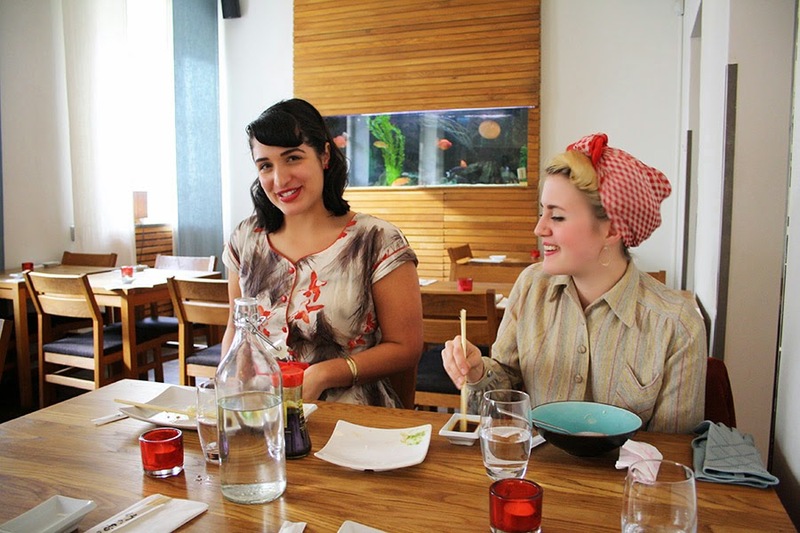 Friends, vintage shopping, going out to lunch…what more could a gal ask for? It was so nice to catch up with a friend…and to make a new one! A big mahalo (thank you) to Pia for allowing me to use several her photos for this post and to Miriam for the nice photo of Pia.